Nestled in 6 acres of ancient olive trees off a quiet country road, you'll find Masseria Battimuro, an impressive complex that masterfully mixes modern and traditional building styles surrounding a beautiful courtyard paved with ancient stone slabs. 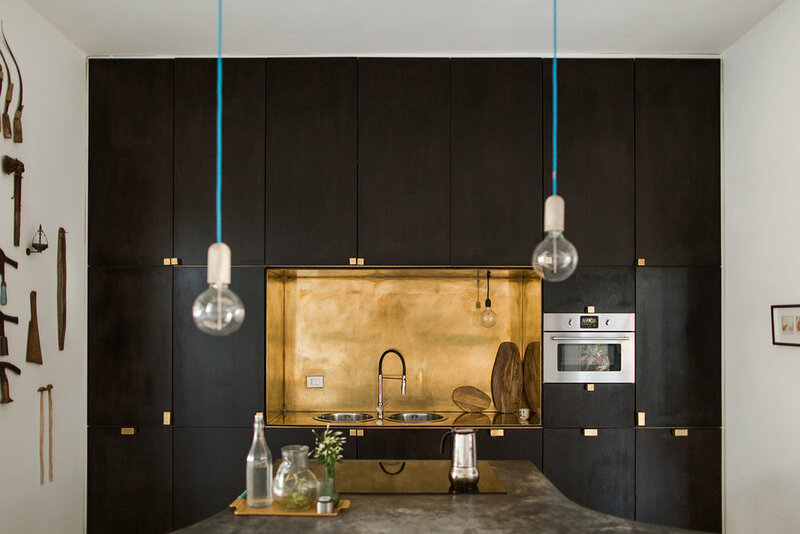 Exquisitely renovated, the masseria has been transformed into three modern interconnected silhouettes, utilizing concrete, stainless steel and rustic salvaged remnants from the original structures. 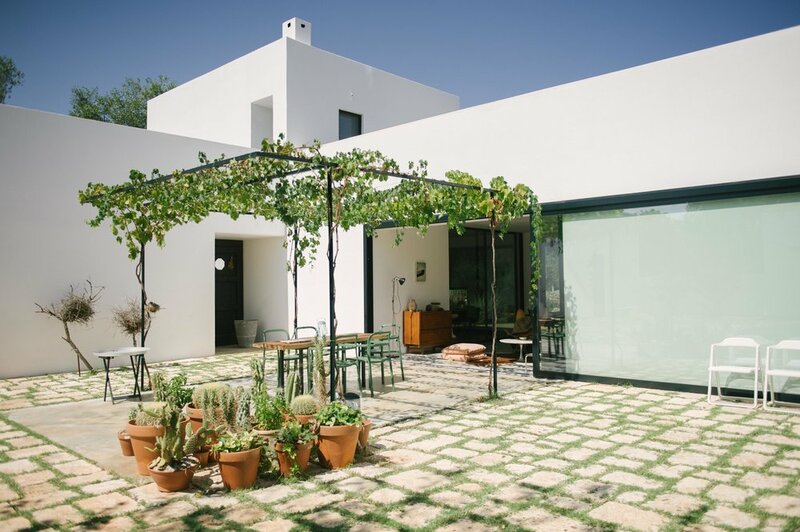 The farmhouse seamlessly integrates nature with its abundance of courtyards, terraces, outdoor spaces and glass walls, and with its edgy architecture, is a striking vision among the olive grove. Designed to reduce its ecological footprint, the house remains cool in the summer and warm in the winter utilizing solar energy and rainwater catchment. And let us not forget the 21m outdoor pool that runs through the main house to the shade of the olive trees, creating a tranquil oasis. The ingenious layout makes it ideal for families and groups to enjoy independence and privacy as well as holiday time together. Located in the middle of Italy's heel with easy access to the Adriatic and Ionion seas, Masseria Battimuro is close to all the attractions, yet removed enough to enjoy a different side of Puglia - one that encourages you to slow down and enjoy nature and those around you. All the spaces are beautifully decorated with artifacts from all over the world, contemporary art, and rural and vintage furniture. The restructured 19th Century farmhouse features beautiful vaulted ceilings, an outdoor kitchen and can accommodate up to 4 people. Next to it is the the former stable, which sleeps 2, each having their own private terraces among the olive trees. The main building accommodates four guests in two en-suite bedrooms, with a large modern kitchen, a splendid living space and an open/closed dining area with large terraces at both ground level and among the treetops. 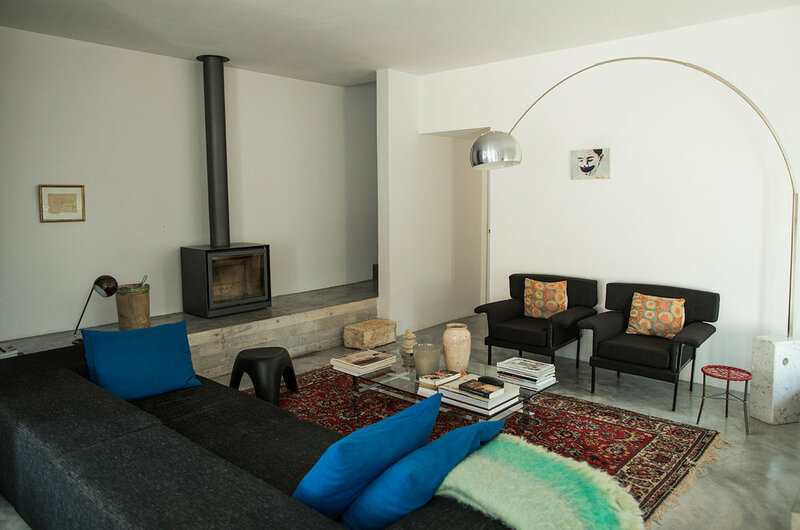 In total, the masseria has 5 bedrooms and 4 bathrooms, accommodating 12 people. Four double beds can be transformed into eight single beds, and extra beds for 2 small children are available. Masseria Battimuro produces its own organic, ethical and eco-friendly top quality extra vergine olive oil 'Thomas e gli altri'. Through an intelligent system of impressive sliding glass walls, inside spaces in the main building can become outside rooms and what seems to be an outside area can be turned into an inside space. All depends on the season, the weather, the wind, your wishes. The house has been built according to ecological principles. Solar panels provide the electricity. For tapwater, they use collected rainwater. All buildings have been extremely well isolated against heat, cold and humidity. 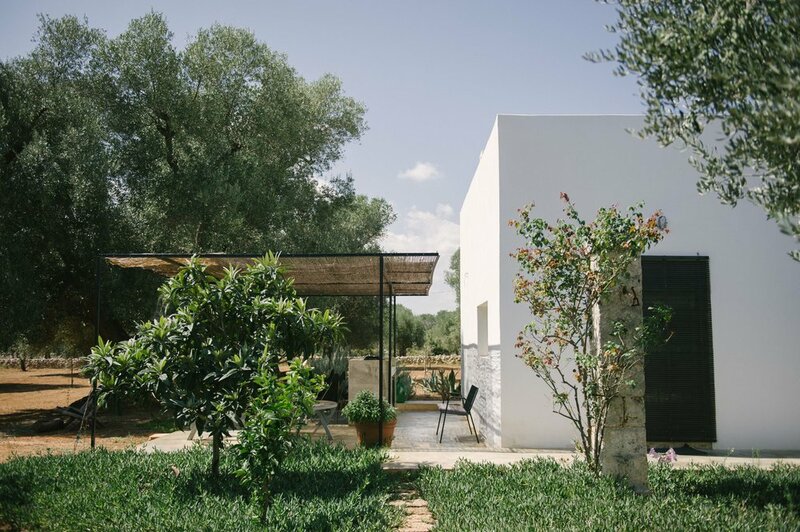 The masseria is a 'passive home' that renders the spaces cooler in summer and warm in winter. Located near San Michele Salentino, Puglia, Italy. Easily accessible by Brindisi Airport (1/2hr) and Bari Airport (1 1/2hrs). The owners live close by and are available to assist with questions and requests. Ostuni, Lecce, Martina Franca, Alberobello, Valle d'Itria are all within an hour distance. Gallipoli, Otranto and even Matera can without haste be visited in a day trip. The beautiful Adriatic coast is at only 25 minutes, the trendy Ionian beaches 45 minutes away. For information or booking thomas@thomassiffer.be and instagram.